(SAN ANTONIO, TX-December 30, 2007) Twenty-two of the 24 players named today to USA Today’s All-USA football team will be playing in the U.S. Army All-American Bowl on January 5, 2008 in San Antonio, Texas. The announcement further solidifies the U.S. Army All-American Bowl’s superiority as high school football’s premier All-American game. The U.S. Army All-American Bowl is a classic East vs. West match-up featuring the nation’s top 84 high school football players from across the country. The game will be televised live on NBC at 1:00 p.m. (EST). The U.S. Army All-American Bowl is owned and operated by SportsLink. USA Today’s Offensive Player of the Year (Terrelle Pryor) and Defensive Player of the Year (Patrick Johnson) are also two of the six finalists for the U.S. Army Player of the Year Award, which is given to the nation’s most outstanding senior in high school football. The U.S. Army Player of the Year will be crowned during the U.S. Army Awards Dinner on Friday, January 4, 2008, in San Antonio. The winner will be presented with the Ken Hall Trophy, modeled after Ken “Sugar Land Express” Hall, high school football’s all-time leading rusher. Since its inception, the U.S. Army All-American Bowl has been considered the nation’s premier All-American game by high school football players, coaches, and fans from across the country, as it’s the preeminent launching pad for America’s future college and NFL stars. Reggie Bush, Vince Young, Adrian Peterson and Brady Quinn all made their national debuts as U.S. Army All-Americans. Last year the U.S. Army All-American Bowl set its own attendance record, as more than 35,000 fans attended the game at the Alamodome. For more information on the U.S. Army All-American Bowl and its related events visit www.usarmyallamericanbowl.com & www.goarmy.com. The U.S. Army All-American Bowl is owned by SportsLink, a New Jersey-based sports marketing and event management company. Other national sponsors of the U.S. Army All-American Bowl are Russell Athletics, Reebok, San Antonio Convention and Visitors Bureau, PlayStation, Schutt Sports, Deloitte, Gatorade, NCSA, and QBU. (HOUSTON, TX, December 28, 2007) TCU tailback Justin Watts scored a fourth-quarter, go-ahead touchdown as TCU's defense shut down Houston en route to a 20-13 victory in the Texas Bowl on Friday. The Horned Frogs came close to surrendering a 10-point lead with just over three minutes to play, but defensive end Chase Ortiz capped off an all star night by denying Houston quarterback Case Keenum the end zone with one second to play. It was TCU’s third straight bowl win while the Cougars dropped their eighth straight bowl game, dating back to the Sun Bowl of 1981. Trailing, 20-10, with 3:17 left in the game, Houston kicker T.J. Lawrence made it a one-possession game with a 32-yard field goal. But when an onside kick failed and the Horned Frogs downed a punt at the two-yard line with 1:30 remaining, it looked like the Cougars were done for the night..
Not wanting to lay down and die, Houston drove all the way down to the Horned Frogs' 19-yard-line with time left on the clock. The Cougars had three shots at the end zone, with two passes falling short, before Ortiz ended the game. The Horned Frogs took the lead for the first time when Watts scored on a seven-yard run with 14:28 left in the game. The touchdown culminated a 13-play, 80-yard drive. Horned Frogs place kicker Chris Manfredini knocked in a pair of second-half field goals to combine with Watts in helping TCU rally from a 10-7 halftime deficit. Both teams struggled in the first half on the offensive end of the ball with the Houston scoring their only touchdown on a bit of razzle-dazzle. Facing 2nd-and-12 at its 33-yard line, Houston produced the biggest play in Texas Bowl history when Keenum scrambled to his right and when he could not find an open receiver, ran back to his left before connecting with a wide-open Andre Kohn for a 67-yard touchdown. Kohn freed himself from defenders past the Horned Frog secondary and was not touched until he reached the goal line, giving the Cougars a 7-0 lead with eight seconds left in the first quarter. TCU, however, answered that score following the Cougars' kickoff. The Horned Frogs marched 75 yards in 11 plays with quarterback Andy Dalton finishing the drive with a 3-yard run. Two Houston area basketball teams upset national ranked foes in opening games of the Houston versus the Nation tournament at the Campbell Center. The Kingwood Mustangs defeated De La Salle (Minnesota) 41-30 on Thursday while Cy Springs Panthers knocked off Montverde Academy (Florida) 65-59 on Frdiay afternoon. De La Salle was ranked number 2 in the nation by ESPN prior to the game. Kingwood, which started slow in the first half, poured it on in the 4th quarter with a 10-1 run to clinch the win. "We knew they were a mirror image of how we play," said Royce Huseman, Kingwood head coach. "They're a very strong team defensively, but we were able to change some things and pull away from them." Cy Springs fresh off winning the Houston ISD Jaycees/Reebok Tournament last weekend, pressed the Eagles from start to finish and relied on scoring from wings Phillip McDonald and Erik Williams to get the job done. The tournament continues on Friday with final games on Saturday. The 2007 edition of the Texas Bowl will see the Houston Cougars (8-4) facing off against TCU (7-5), representing the Mountain West Conference in the 25th meeting of these Texas football powerhouses. Game time is set for 7:30pm CST in Houston’s Reliant Stadium. Houston has been to a bowl game in four of the past five years, while TCU finds itself playing in a bowl game in Houston for the third time in seven years. TexSport Publications will be reporting live from the game with senior writer Robert Kelly reporting with updates as the game progresses. Check back for updates as game time approaches. Game updates will be posted at Texas Bowl 2007. Below is the link to the official results from day one of competition at the Univeristy of Houston Swimming and Diving Phill Hansel Duals Weekend. (HOUSTON, TX, October 26, 2007) The University of Houston swimming and diving team stood ahead in two meets and trailed in two meets following the first day of the Phill Hansel Duals Weekend on Friday at the Campus Recreation & Wellness Center Natatorium. The Cougars led Florida International 126-59 and led New Orleans 131-50 while trailing Brigham Young University 128-58 and crosstown rival Rice 115-68. The two-day meet concludes at 11:30 a.m., Saturday, with the 400-yard medley relay, 500-yard freestyle, 200-yard butterfly, 200-yard backstroke, 1-meter diving, 100-yard breaststroke, 100-yard freestyle, 400-yard individual medley and 200-yard freestyle relay. Fans and media should note that Saturday's meet begins at 11:30 a.m., not 11 a.m., as originally listed in some publications. The meet is free and open to the public, which is invited to attend. The meet is named after longtime Swimming and Diving head coach Phill Hansel, who led the program from 1975 to 1996, earning 70 dual-meet victories and three Southwest Conference Coach of the Year honors. Junior Sasha Schwendenwein won the 200-yard freestyle with a time of 1:49.95 to finish nearly three seconds ahead of her closest competitor. The Randburg, South Africa, native also provisionally qualified for the 2008 NCAA Championships with her clocking. Sophomore Jessica Shamburger, the 2007 Conference USA Freshman Swimmer of the Year, grabbed top honors in the 100-yard backstroke with a time of 59.20. The Cougar divers finished 1-2-3 in their first competition of the season with senior captain Ginni van Katwijk leading the way. The Grootebroek, Netherlands, native finished with 293.45 points. Freshmen Lacey Truelove and Courtney Forcucci - competing in their first collegiate meets - placed 2-3 with 274.75 points and 267.70 points, respectively. The Cougars' 200-yard medley relay team of Shamburger, junior Doreen Polotzek, freshman Andrea Kells and Schwendenwein finished third with a time of 1:49.32. (HOUSTON, TEXAS, October 25, 2007) The University of Houston swimming and diving team opens its 2007-2008 home schedule this weekend as it plays host to the second annual Phill Hansel Duals Weekend at the Campus Recreation & Wellness Center Natatorium. The meet is free and open to the public, which is invited to attend. In addition to the Cougars, the two-day meet features crosstown- and C-USA-rival Rice, BYU, New Orleans and Florida International. All five teams will compete against one another in dual-meet scoring. Friday's action begins at 5 p.m., with the 200-yard medley relay, 1,000-yard freestyle, 200-yard freestyle, 100-yard butterfly, 100-yard backstroke, 200-yard breaststroke, 3-meter diving, 50-yard freestyle, 200-yard individual medley and 400-yard freestyle relay. The meet concludes at 11:30 a.m., Saturday, with the 400-yard medley relay, 500-yard freestyle, 200-yard butterfly, 200-yard backstroke, 1-meter diving, 100-yard breaststroke, 100-yard freestyle, 400-yard individual medley and 200-yard freestyle relay. Fans and media should note that Saturday's meet will begin at 11:30 a.m., not 11 a.m., as originally listed in some publications. A year ago, the Cougars went 4-1 during the Hansel Duals Weekend, posting wins over Mesa State, Rice, Trinity and New Orleans. Only a loss to Nevada blemished a perfect record. The Cougars (1-0) come into the meet after enjoying a 116-85 win over Southwestern in Georgetown on Oct. 12. At that meet, Cougar freshmen led the way with Paige Bissett posting first-place finishes in the 200-yard individual medley and 100-yard backstroke. Other Cougar freshmen to record first-place finishes during their first collegiate meets included Brittany Copeland and Andrea Kells. Freshman Lindsey Graves swam the opening leg of the Cougars' winning 200-yard freestyle relay team. Following Friday's meet, the Cougars return to action at 4 p.m., Nov. 2, when they face Miami (Fla.) in a dual meet. That meet is part of a weekend trip to the Sunshine State. Following their meet against the Hurricanes, the Cougars face Florida International and Indian River Community College in a tri-meet at 10 a.m., Nov. 3 at the Miami Shores Pool. (HOUSTON, TEXAS, October 24, 2007) Houston Dynamo goalkeeper Pat Onstad and midfielder Brian Mullan have been named co-recipients of the Honda Most Valuable Player Award for the 2007 season. Onstad and Mullan’s awards were announced on houstondynamo.com, three days before the Dynamo opens its participation in the 2007 MLS Cup Playoffs against FC Dallas. Other awards announced include Joseph Ngwenya as the winner of the 2007 Budweiser Golden Boot Award, Eddie Robinson as the club’s Defender of the Year, and Craig Waibel as recipient of the United States Soccer Foundation Dynamo Humanitarian Award. Onstad set an MLS single-season record with his 0.82 goals against average. Onstad also posted 11 shutouts and 13 wins, and was a leading force behind the Dynamo defensive streak of 727 consecutive minutes without allowing a goal. That consecutive streak, which Onstad teamed with Zach Wells, is the longest streak in modern day professional team sports in North America. Mullan played in 28 games, with one goal (vs. Chivas USA June 21) and three assists. The midfielder was instrumental in setting up the Dynamo offensive attack, and is renowned throughout MLS for his steady play and leadership. On July 15 against Toronto FC, Mullan suffered a broken cheekbone and continued play throughout the contest, missing only one subsequent game due to the injury. Mullan is in his seventh MLS season. Ngwenya won the Budweiser Golden Boot Award for his seven goals and four assists. Ngwenya, Brian Ching and Nate Jaqua each tallied seven times this season; the award went to Ngwenya in an assist tiebreaker (Ngwenya 4, Ching 2, Jaqua 2). Ngwenya was acquired from Columbus in May and went on a streak of three consecutive games with goals (6/3-6/10 vs. FC Dallas, Colorado and Columbus). Ngwenya’s goal against Chicago on July 12 is regarded by many around the league as the potential Goal of the Year. Robinson repeats as winner of the Dynamo Defender of the Year. Robinson played in 25 games, scoring twice with two assists. Robinson was named to the MLS All-Star team, and in his seventh year in MLS continued his reputation as one of the most intimidating and physical players in the game. Waibel lends his name to countless charitable efforts around the Houston area and in his native Spokane. Waibel has been feted throughout his eight-year MLS career for his continued community efforts. The Dynamo opens the MLS Cup Playoffs Saturday, October 27 against FC Dallas in game one of the Western Conference semifinal (Ch. 55, DirectKick, ch. 43 TV Informa, 850am and 101.7fm). The return match in the two game, aggregate-goal series is Friday, November 2 at Robertson Stadium. (HOUSTON, TEXAS, October 19, 2007) The 2007 U.S. Olympic Assembly concludes Sunday in Houston, Texas, after five days of meetings and panels involving more than 300 members of the U.S. Olympic Family. At Saturday’s luncheon, Former President George H. W. Bush and former first lady Barbara Bush were welcomed as special guests, and U.S. Olympic Committee (USOC) Chairman of the Board Peter Ueberroth named President Bush the Honorary Chef de Mission of the 2008 U.S. Olympic and Paralympic Teams for the 2008 Games in Beijing, China. This is the first time the USOC has bestowed the title of Honorary Chef de Mission upon an individual. President Bush and Ueberroth then participated in a signing ceremony, during which the USOC officially accepted the invitation for the U.S. Olympic and Paralympic Teams to compete in the 2008 Games. The Athletes Advisory Council and the U.S. Olympians Association took strong roles in USOC community outreach while in Houston, visiting four local schools as part of the USOC Champions in Life program and McDonald’s Passport to Play program. In addition, Olympians, Paralympians and elite athletes visited a Ronald McDonald House in Houston, honoring everyday heroes – the seriously ill children receiving treatment at Texas Children’s Hospital. Other guest speakers at Saturday’s luncheon were Olympic wrestler Brad Vering, World track cycling champion Sarah Hammer and Paralympic track & field hopeful Scott Winkler. The three athletes shared their inspirational stories with the full assembly during a question and answer session, and visited with President and Mrs. Bush at the head table. President Bush has long been a supporter of the U.S. Olympic and Paralympic Teams. He spoke to America’s athletes in Athens during the 2004 Olympic Games as the head of the official White House Delegation. He welcomed the 1992 Olympic and Paralympic Teams to the White House during his presidency. He has strong ties to China, the host of the 2008 Olympic and Paralympic Games. Early in his public service career, President Bush served as chief of the U.S. Liaison Office in the People’s Republic of China from 1974-1976. This third annual U.S. Olympic Assembly brought together the various members of the USOC and organizations associated with the U.S. Olympic Movement in an effort to foster communication, collaboration and the development of new initiatives to support America’s athletes. (HOUSTON, TEXAS, October 20, 2007) TexSport Publications editor and senior writer Robert Kelly has been named the meet announcer for the University of Houston Swimming and Diving Team for 2007-2008. Kelly began serving as the announcer for the Cougars last season and finished up the year being appointed by Conference USA and the University of Houston as the announcer for the Conference USA Swimming and Diving Championships which was hosted by the University of Houston. He will return to the microphone to kick off the Cougars home meets on October 26-27 as they play host to Brigham Young University, Florida International, New Orleans and Conference USA rival Rice during the second Phill Hansel Duals Weekend. The two-day meet begins at 5 pm Friday, October 26 and wraps up at 11 am on Saturday, October 27. When you attend the meets, listen for Kelly's color commentary, calling of the races, and the unique swimming trivia he brings to the microphone. (GEORGETOWN, TEXAS, October 12, 2007) Freshman Paige Bissett won two individual events to lead a charge of newcomers during the University of Houston swimming team's 116-85 win over Southwestern on Friday at the Robertson Center Natatorium. Bissett, competing in her first collegiate meet, won the 200-yard individual medley after a clocking of 2:19.08. The Rumson, N.J., native also finished first in the 100-yard backstroke with a time of 1:02.15. However, she was just part of a Cougar newcomer attack. Freshman Brittany Copeland won the 50-yard freestyle competition with a time of 25.71, while Andrea Kells won the 100-yard butterfly with a time of 59.73. Freshman Lindsey Graves swam the opening leg on the Cougars' 200-yard freestyle relay team that finished first with a time of 1:45.39. The freshmen were part of a dominating Cougar team that won seven individual events and one relay event to upend the Pirates for the second straight season. A year ago, UH enjoyed a 105-63 win on Oct. 20, 2006, to push its season-opening winning streak to five straight dual matches. Sophomore Donna MacLeod captured first place in the 1,000-yard freestyle with a time of 11:25.94 to finish more than 20 seconds ahead of her closest competitor. Sophomore Jessica Shamburger, the 2006 Conference USA Freshman Swimmer of the Year, won the 100-yard freestyle with a time of 56.11. Sophomore Linda Fox claimed top honors in the 500-yard freestyle with a time of 5:32.25. The Cougars' 200-yard freestyle relay team of freshman Graves, Copeland, Shamburger and junior Doreen Polotzek capped UH's day with a first-place finish after posting a time of 1:45.39. The swimming team will reunite with their diving counterparts and compete together Oct. 26-27 as they play host to BYU, Florida International, New Orleans and Conference USA rival Rice during the second Phill Hansel Duals Weekend. That two-day meet begins at 5 p.m., Oct. 26 and wraps up at 11 a.m., Oct. 27. (HOUSTON, TEXAS, October 11, 2007) ­ The University of Houston swimming team opens its 2007-08 season at 5 p.m., Friday when it faces Southwestern at the Robertson Center Natatorium in Georgetown. The Cougars return 11 letterwinners from last season¹s squad, which finished among the Top 25 team leaders at the NCAA Championships for the seventh consecutive season. The program also welcomes seven award-winning newcomers in 2007-08. UH enters the meet after competing in its annual Red and White Meet on Wednesday at the Campus Recreation & Wellness Center Natatorium. The Red Team, under the leadership of team captain Doreen Polotzek, captured a 125-89 win to break a streak of four straight ties in the intrasquad scrimmage. Junior Sasha Schwendenwein won three individual events, while Polotzek captured top honors in two events to lead the Red Team. White Team member Jessica Shamburger, the 2007 Conference USA Freshman Swimmer of the Year, led her squad with a pair of first-place finishes. Following Friday's meet, the Cougars will take two weeks off before returning to action. The entire team will compete together Oct. 26-27 as it plays host to BYU, Florida International, New Orleans and Conference USA rival Rice during the second Phill Hansel Duals Weekend. That two-day meet begins at 5 p.m., Oct. 26 and wraps up at 11 a.m., Oct. 27. This marks the second straight season that the Cougars have faced the Pirates. A year ago, the Cougars enjoyed a 105-63 win to extend their season-opening winning streak to five straight meets. (HOUSTON, Texas, October 10, 2007) After four years of battling to a tie with their White Team counterparts, the Red Team finally broke through with a 125-89 win during the University of Houston swimming and diving team’s annual Red and White Meet on Wednesday afternoon at the Campus Recreation & Wellness Center Natatorium. Under the leadership of Red Team captain Doreen Polotzek, Red Team members Sasha Schwendenwein, Michelle Hall, Linda Fox, Brittany Copeland, Courtney Forcucci, Markee Johnson and Paige Bissett enjoyed the first win in five years of the annual Red-White meet. The previous four intrasquad scrimmages had ended in mysterious ties. The White Team consisted of team captain Andrea Pa'lmai, Donna MacLeod, Jessica Shamburger, Kristine Kelly, Andrea Kells, Lacey Truelove and Lindsay Graves. The Cougars competed in their first meet-like environment of the season with timers, judges and a meet announcer. However, the event remained laid back with off events like the 250-yard medley relay, 125-yard freestyle, 100-yard individual medley, 75-yard backstroke and 300-yard freestyle relay. The Red Team claimed first place in all three relay events and six of the nine individual events to enjoy the win. Individually, Schwendenwein led all swimmers during the meet with three first-place finishes. She won the 125-yard freestyle competition with a time of 1:10.94 and earned a similar finish in the 75-yard butterfly after posting a time of 43.42. The Randburg, South Africa, native finished her day with another first-place finish in the 300-yard individual medley with a time of 3:31.01. Polotzek won the 100-yard individual medley with a time of 1:04.60 and finished first in the 75-yard breaststroke with a time of 52.80. Freshman Brittany Copeland, competing in her first event as a Cougar, won the 75-yard freestyle with a time of 41.82 to help lead the Red Team. White Team sophomore Jessica Shamburger, the 2007 Conference USA Freshman Swimmer of the Year, was the only member of her team to win multiple events, taking top honors in the 25-yard freestyle with a time of 11.95and in the 75-yard backstroke with a time of 43.49. White Team sophomore Kristine Kelly finished first in the 800-yard freestyle with a clocking of 9:42.82. White Team freshman Lindsay Graves won the 350-yard freestyle with a time of 4:05.74. The Cougar Swimming team opens the regular season at 5 p.m., Friday when it faces Southwestern in Georgetown. The entire team will compete together Oct. 26-27 as it plays host to BYU, Florida International, New Orleans and Conference USA rival Rice during the second Phill Hansel Duals Weekend. That two-day meet begins at 5 p.m., Oct. 26 and wraps up at 11 a.m., Oct. 27. (IRVING, TX, October 9, 2007) Southern Methodist University’s Angela San Juan Cisneros is Conference USA’s first swimmer of the week for the 2007-08 season after helping set two pool records last weekend as the Mustangs won the Mean Green Relays. The senior was part of the winning 400-yard medley and 400-yard freestyle relay teams that established new pool records, as well as helping the 300-yard butterfly relay team to a win. San Juan Cisneros competed in three events at last week’s Mean Green relays, helping set new pool records in two. The senior swam as part of the 400-yard medley relay team that set a new pool record by three and a half seconds (3:51.39). She was also part of the foursome that set a new pool record in the 400-yard freestyle relay. The squad bested the previous record by over 12 seconds (3:28.84). In addition, the reigning C-USA Newcomer of the Year competed in the 300-yard butterfly relay, helping her squad to an almost-four second victory over TCU (2:52.41). The weekly award is the first for the 2007 All-American. (HOUSTON, TX, October 9, 2007) - The University of Houston swimming and diving team takes its first step toward the 2007-08 season when it competes in the annual Red & White meet at 3 p.m., Wednesday, at the Campus Recreation & Wellness Center Natatorium. Admission for the meet is free, and the public is invited to attend. "Obviously, we are early in our season, but we are looking good," assistant coach Jarrod Marrs said. "We're happy with the progress we have already made and are looking forward to getting started and seeing where we are at." The 13-event meet will consist of off events like the 250-yard medley relay, 125-yard freestyle, 75-yard butterfly, 75-yard breaststroke and the 300-yard individual medley. Although the events are nothing like what they will compete in during a regular-season dual meet, the intrasquad scrimmage gives the team a chance to compete. "We're just looking for an opportunity to race and get the team in a meet environment," assistant coach Jarrod Marrs said. "We are especially curious to see what will happen when we put our newcomers on the starting blocks." This marks the fifth consecutive season that the Cougar swimmers and divers have squared off against one another in a preseason meet. The meet will be looking for its first true winner as the four previous events have ended in ties. Head coach Mark Taylor, diving head coach Jane Figueiredo, Marrs and assistant coach Jaime Lewis divided the team and selected the respective team captains. Under the leadership of junior Doreen Polotzek, the Red Team will consist of juniors Sasha Schwendenwein and Michelle Hall, sophomore Linda Fox and freshmen Brittany Copeland, Courtney Forcucci, Markee Johnson and Paige Bissett. The White Team, under junior Andrea Pa'lmai, will be composed of sophomores Donna MacLeod, Jessica Shamburger and Kristine Kelly and freshmen Andrea Kells, Lacey Truelove and Lindsay Graves. Following Wednesday's meet, the Cougar Swimming team opens the regular season at 5 p.m., Friday when it faces Southwestern in Georgetown. 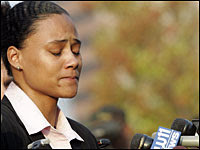 (WHITE PLAINS, NY, October 5, 2007) Olympic gold medalist Marion Jones pleaded guilty on Friday to lying to federal investigators about using steroids. The three-time Olympic gold medalist also announced her retirement from the sport. In grand jury testimony, Jones had adamantly defended herself against allegations of steroid use before the 2000 Summer Olympics in Sydney, where she won five medals. This humble reporter has followed Jones' career for a very long time, first observing her as a 17-year-old high school sprinter who made the Olympic team in 1992 as an alternate on the 4 X 100 sprint relay. Over the years, I have watched her blaze down the track and destroy all comers in the sprints. Before the 2000 Olympics in Sydney, Australia, I remember watching her defend her the husband C.J. Hunter as he faced questions concerning his positive drug test prior to the Games. At that time, I began to have my doubts about Jones. Her body was one big muscle and I felt at the time she was on performance-enhancing drugs. As time went on, I became more and more convinced that she was on something, no matter how many drug tests she passed. During the BALCO investigation, the evidence that I read pointed to her involvement. I remember thinking during all of this that "she was protesting way too much." Well....now it all came to past today. She admitted that she did lie and was on performance-enhancing drugs in Sydney. She stated in a press conference that she did lie and she was retiring from track and field. WOW....an athlete that admitted she cheated. I wonder why did she that? Did the feds have something else on her and offered her a deal? We may never find out. But one thing is certain. She will be stripped of her Olympic and World Championships medals, her performances removed from the record books, and she will do some time in a 6 foot by 8 foot prison cell. This is all a shame. She had such a promissing career and felt she needed to cheat to compete. Hopefully she has learned a lesson that should have been drilled into her head at a young age. "Don't do the crime if you can't do the time." I wonder how long until Barry Bonds has the same fate? (THE WOODLANDS, TEXAS, September 23, 2007) Derrick Mauk and Chuck Medema each won national titles at the United States Masters Swimming Long Course National Long Course Swimming Championships held at The Woodlands. Mauk won his first-ever national title in the 50-meter backstroke, while Medema took his title in the 400-meter freestyle. Both swimmers, along with eight teammates, took 23rd place in the team standings, out of 133 teams, representing the South Belt Area “All Stars” Swimming Team. The “All Stars” had ten swimmers, ages 19-53 competing, competing against 901 other swimmers. Mauk, who was competing in the 30-34 age group, also a silver medal in the 400-meter freestyle, bronze medals in the 100-meter and 200-meter backstrokes, sixth place in the 100-meter butterfly and seventh place in the 50-meter butterfly. Medema, competing in the 25-29 age group, took a bronze medal in the 200-meter freestyle, sixth place in the 100-meter freestyle, eighth place in the 100-meter butterfly, and ninth place in the 50-meter freestyle and 50-meter butterfly. University of Houston swimmer Kristine Kelly, who was competing in her last meet of the summer season before reporting back to school for the college swimming season, took the silver medal in the 100-meter backstroke, bronze medals in the 200-meter backstroke, 50-meter backstroke and 400 meter individual medley. She also added a fourth place in the 200-meter butterfly and fifth place in the 200-meter individual medley. She was competing in the 18-24 age group. Kelly’s greatest competition came against Fort Lauderdale Aquatics swimmer Dawn Jason, who is a member of Great Britain’s national team at the Commonwealth Games. Hillsdale (Michigan) College swimmer Skylar Walker (18-24 age group) was also competing in her final meet of the summer season before leaving for her junior year in college, took ninth place in the 200-meter freestyle, 100-meter breaststroke and 50-meter breaststroke, along with thirteenth place in the 50-meter and 100-meter freestyles. Lisa Hernandez also got into the scoring with a fourth place finish in the 200-meter breaststroke in the 25-29 age group, along with fifth place in the 400-meter freestyle, eighth place in the 50-meter breaststroke, tenth in the 200-meter freestyle, eleventh in the 100-meter breaststroke and fifteenth in the 100-meter freestyle. Former Sam Rayburn High School standout Stacey Golden also contributed to the scoring with a sixth place in the 100-meter butterfly, along with an eighteenth place in the 50-meter freestyle. The competitive fires were not limited to the younger adult “All Stars” swimmer. Co-head coaches Darla and Robert Kelly also hit the water in the national level meet for the first time in over twenty years. Both the Kelly competed in two events, with Darla finishing thirteenth in the 50-meter backstroke and twenty-first in the 50-meter freestyle. Robert finished nineteenth in the 50-meter breaststroke and was disqualified in the 100-meter breaststroke for two butterfly kicks on the turn. “After the 50-meter breaststroke, Derrick and Kristine inquired why I didn’t take a butterfly kick on the pullout. The rule that allows one butterfly kick on the start and turn is relatively new to the sport and I had not practiced doing it. I went to the cool down pool and practiced it for a while. I felt I it was fine but obviously, I was not. I got DQed by an official that works some of our high school meets, and we all got a good laugh about it. It will be a long time before I live that one down,” said Robert Kelly. The “All Stars” success and points was not limited to individual events. They entered seven relays and all seven scored and brought home medals. Relay entries are determined by the combined ages of all four swimmers. Mauk, Howard, Medema, and former Sam Rayburn High School All State swimmer Rick Price swam two relays in the 100-119 years old age group. In the 200-meter freestyle relay, they took the silver medal, but were disqualified for an early takeoff in the 200-meter medley relay. Walker, Golden, Hernandez, and Kristine Kelly combined to swim their relays in the 72-99 age group, finishing in fourth place in both the 200-meter medley relay and the 200-meter freestyle relay. Coed relays, which consisted of two men and two women, were also contested with the “All Stars” fielding three. In the coed 200-meter freestyle relay, Price, Walker, Medina, and the youngest Kelly finished in fifth place in the 100-119 age group. Kelly, and Price, then combined with Mauk and Hernandez to take fifth place in the 100-119 200-meter freestyle relay. Howard, Walker, Medema, and Golden rounded out the relay scoring with a fourth place finish in the 72-99 age group 200-meter medley relay. 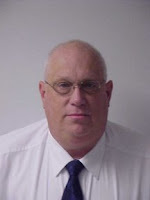 In addition, former J. Frank Dobie swimming coach and Pasadena Independent School District aquatic director Dennis Shippey also competed and scored at the Nationals. Shippey trains with the “All Stars” but competed with the Woodlands Masters Team where he can compete in relays with other swimmers his own age. Shippey competed in the 60-64 year old age group took silver medals in the 50-meter and 100-meter breaststroke, a bronze medal in the 200-meter breaststroke, fourth place in the 50-meter butterfly, sixth place in the 100-meter freestyle, and seventh place in the 50-meter freestyle. He also added silver medals in the Woodlands 240-279 men’s 200-meter medley relay and the 200-meter freestyle relay. The South Belt Area “All Stars” Swimming Team is an select swimming team consisting of swimming from ages 9-65 from the Deer Park, Pasadena, Pearland, Friendswood, Clear Lake and Houston South Belt areas. (HOUSTON, TEXAS, September 22, 2007) Freshman quarterback Case Keenum threw for 197 yards and two touchdowns while running for 66 yards and two more scores, to lead the Houston Cougars to a 38-27 victory over the the Colorado State Rams. Keenum went 18-of-22 in the air in the Houston win, while senior wide receiver Donnie Avery grabbed seven passes for 76 yards. It was the 10th straight loss for Colorado State, which has not won since beating UNLV on October 7, 2006. The Rams jumped out to a 7-0 lead early in the first quarter on a 37-yard touchdown pass from Caleb Hanie to Dion Morton. Houston responded with a 46-yard field goal by senior T. J. Lawrence. Hanie gave the Rams a 14-3 lead late in the quarter, hooking up with John Mosure for a 21-yard score. In the second quarter, the Rams extended their lead to 17-3 with a 40-yard field goal by Jason Smith. The Cougars came back early in the third quarter, as Keenum connected on a 30- yard pass to L. J. Castile. Colorado State added to its lead halfway through the quarter, as Hanie completed a 53-yard pass to Luke Roberts to put the Rams ahead, 24-10. A few minutes later Houston pulled within a touchdown, as Keenum found Perry McDaniel for a 27-yard score. The Cougars tied the game a 24-24 in the closing minutes of the third quarter, as junior cornerback Kenneth Fontenette recovered a Kyle Bell fumble and returned it 37 yards for the touchdown. The Rams regained the lead at 27-24 halfway through the fourth quarter on a 31-yard field goal by Smith. The Cougars answered back minutes later, as Keenum rushed for an eight-yard score. Keenum dove into the end zone once again with less than two minutes to play with a one-yard touchdown that gave the Cougars the 38-27 win. (HOUSTON, TX, Septemebr 20, 2007) Fresh off its seventh consecutive season among the Top 25 leaders at the NCAA Championships, the University of Houston swimming and diving team looks to extend that streak and rise even higher in 2007-08. The Cougars, who return 11 letterwinners from last season's squad, welcome seven award-winning newcomers to the program. UH also set a school single-season record with 18 dual-meet wins, doubling the previous record. A year ago, the Cougars finished fourth at the Conference USA Championship as junior Andrea Pa'lmai won the 400-yard individual medley for the second straight season and sophomore Jessica Shamburger captured the 100-yard backstroke crown during her first league meet. That duo, along with senior captain Nicole Vaiana and juniors Sasha Schwendenwein and Doreen Polotzek will provide leadership for the 2007-08 team, both in and out of the water. The Cougar swimmers will be heavily counted upon this season as the UH diving program could be without its top two competitors this season. Both Anastasia Pozdniakova and senior captain Ginni van Katwijk could sit out the entire 2007-08 campaign as they train to represent their respective countries during the 2008 Olympic Games. But, if the early signs are any indication, the 2007-08 season could be one of the best yet, according to head coach Mark Taylor. "The team looks like it is ready to go. Some of them have already been training on their own to get themsleves ready," said Taylor, who begins his sixth year at UH. "They are in better shape this year than they were last year. Many of them have taken it upon themselves to keep themselves in shape all year long." FREESTYLE: Schwendenwein was among the Cougars' steadiest performers a year ago and should emerge as a team leader in 2007-08. The Randburg, South Africa, native posted UH season-best times in the 100-, 200- and 500-yard freestyle events while adding her name to the Cougar records book in all three events. Schwendenwein also was a key member in relay events, earning four All-Conference honors in the 400- and 800-yard freestyle relays as well as the 200- and 400-yard medley relays. Pa'lmai is another regular in the Cougar lineup in the distance events. A year ago, the Budapest, Hungary, native recorded the Cougars' fastest season times in both the 1,000- and 1,650-yard freestyle events, finishing at least 30 seconds ahead of her closest competitor in both events. Like Schwendenwein, Pa'lmai was a key member in relay events with All-Conference USA recognition in the 400- and 800-yard freestyle relays and the 400-yard medley relay. Shamburger should be another weapon for the Cougars in the sprint freestyle after a year of experience under her belt. Competing in her first collegiate season in 2006-07, Shamburger led all Cougars with a time of 24.01 in the 50-yard freestyle, the seventh-fastest time in school history. Polotzek joined the Cougars at the semester break in 2007 and was a valuable resource in the sprint freestyle events. The Essen, Germany, native also was a member of the Cougars' All-Conference USA 200-yard medley relay team. Vaiana is the only senior swimmer in 2007-08 and will be looked to for leadership, both in and out of the water. A year ago, Vaiana proved to be a versatile swimmer, posting the second-best times among all Cougar swimmers in the 100-, 200- and 1,000-yard freestyle events. Linda Fox returns for her sophomore season and will add considerable depth in all freestyle events. Freshmen Brittany Copeland, Lindsey Graves and Markee Johnson join the Cougar program for the first time in 2007-08 and should compete regularly in these events. BREASTSTROKE: Donna MacLeod returns for her sophomore season after gaining a year of experience during her first collegiate season a year ago. Last season, MacLeod posted the Cougars' second-fastest times in both the 100- and 200-yard breaststroke events. Polotzek did not compete regularly in this event a year ago but should see considerable time in the water in this event in 2007-08. BACKSTROKE: Shamburger enjoyed tremendous success in the backstroke as a true freshman and should be a leader for the Cougars in this event in 2007-08. A year ago, the Spring native captured the 100-yard backstroke title at the C-USA Championship and was a member of three All-Conference USA relay teams. Her time of 56.36 at that meet was the second-fastest time in UH history and set a Campus Recreation & Wellness Center Natatorium record by a Cougar swimmer. For her impressive accomplishments, Shamburger was honored as the C-USA Freshman Swimmer of the Year, a first in program history. While Shamburger dominated the 100-yard event, Pa'lmai was the Cougar leader in the 200-yard event. She posted the Cougars' nine fastest times in that event and finished as the runner-up at the C-USA meet. Vaiana, Fox, Michelle Hall and Kristine Kelly should be valuable contributors in this event in 2007-08. Freshman Paige Bissett joins Copeland and Johnson as the newcomers in the Cougar backstroke corps. BUTTERFLY: Schwendenwein and Polotzek should emerge as the Cougars' returning leaders in this event. Schwendenwein is the Cougars' leading performer in the 100-yard event, while Polotzek topped UH in the 200-yard event. Hall returns for her junior season and should add considerable depth in this event. Andrea Kells is the lone newcomer for the Cougars in the butterfly events and will add depth. INDIVIDUAL MEDLEY: For the second straight season, the Cougars can boast of a C-USA champion in this event after Pa'lmai successfully defended her title in the 400-yard individual medley. She recorded the Cougars' seven fastest times in the longer event and will again be a force to be reckoned with in C-USA. Kelly and MacLeod were regular competitors in these events during their first collegiate season and will benefit from that year of experience in 2007-08. DIVING: The Cougar diving team always ranks among the nation's best each year, and the 2007-08 campaign should be no different. Under the leadership of diving head coach Jane Figueiredo - who enters her 18th season at Houston - Cougar divers always are well represented at the NCAA Championships. However, the team will be changed this season with the temporary loss of the top two returnees. Pozdniakova and van Katwijk are expected to sit out the year as they prepare to qualify for and represent their respective countries at the 2008 Olympic Games. With that in mind, two freshmen -- Courtney Forcucci and Lacey Truelove -- could very well represent the entire Cougar diving team in 2007-08. Although both divers are young and inexperienced at the collegiate level, Figueiredo said she would not have brought the divers into the program if she believed they could not handle the challenge. "We knew there was a chance that Ginni and Nastia weren't gong to compete, so we had to bring in some people that were going to be able to step right in," Figueiredo said. "I don't want to recruit someone and wait for four years." Competing during her first collegiate season, Forcucci is unlike most freshmen after gaining plenty of experience through Junior Olympics competition. Truelove possesses great tools for diving and gives the team a true platform specialist. While each diver may go through some ups and downs during their freshmen seasons, Figueiredo is confident about their chances for success in their first year at UH. "With freshmen, you always make a lot of changes. They are young and they don't know what this is all about," Figueiredo said. " It's going to be tough at times, but they can do it." In 2006-07, divers Anastasia Pozdniakova and Ginni van Katwijk competed in their first NCAA Championships, scoring all 38 of Houston's points and earning All-America honors. With a year of experience under their belt, more of the same will be expected. Pozdniakova finished as the national runner-up on the 3-meter springboard at the NCAA meet and received All-America accolades in the 1-meter event. A five-time C-USA Diver of the Week recipient, Pozdniakova swept both springboard events at the C-USA Championship and captured both titles at the NCAA Zone D meet to qualify for the NCAA postseason. She was an easy selection as both the C-USA Diver of the Year and C-USA Diver of the Meet. van Katwijk was a newcomer to the Cougar program a year ago but wasted little time in making her impact felt. The Grootebroek, Netherlands, native was named the C-USA Diver of the Week in late January and joined Pozdniakova as the only competitors to finish among the Top Three leaders in all events at the C-USA Championship. After finishing third on the 3-meter board at the NCAA Zone D meet, van Katwijk qualified for the NCAA Championship, where she finished second in the consolation finals on the platform. With that impressive showing, she also earned her first All-America honor. van Katwijk was the latest Cougar diver to earn a C-USA postseason award, claiming the league's first Newcomer of the Year honor in 2007. Watching over the divers will be Figuieredo, who continues to add to her impressive resume each season. In 2006-07, her divers were named C-USA Diver of the Year, C-USA Diver of the Meet and C-USA Newcomer of the Year. With an impressive arsenal like that, Figueiredo was honored as the C-USA Diving Coach of the Year for the sixth straight season, making her the only league coach to win that award. SCHEDULE: A year after winning 18 dual meets to set a school single-season record, the Cougars will face some of the nation's best swimming and diving programs in 2007-08. The home schedule includes meets against Rice and LSU (Jan. 25-26) and New Orleans (Feb. 2). The Cougars also will play host to the Phil Hansel Duals Weekend for the second straight season on Oct. 26-27 with Rice, BYU, Florida International and New Orleans scheduled to visit the CRWC Natatorium. On the diving side, the Cougars will welcome top divers to Houston on Nov. 15-17 for the Houston Diving Invitational. On the road, the Cougars will compete against Southwestern (Oct. 12), Miami (Fla.) and Indian River Community College - which has won 32 straight NJCAA championships entering 2007-08 - (Nov. 3) North Texas (Jan. 18), SMU (Jan. 19) and Texas A&M (Feb. 1). The Cougar swimmers will compete at the Miami (Ohio) Invitational on Nov. 29-Dec. 1, while the divers will take part at the Texas Invitational on Nov. 30-Dec. 1. For the fifth consecutive season, the Cougars will play host to the Conference USA Championship on Feb. 27-March 1 at the CRWC Natatorium. Houston is the only C-USA school to host the league's annual postseason event at an on-campus site. The Cougars also will play host to the NCAA Zone D meet on March 14-16 at the CRWC Natatorium. This marks the second time and the first time since 2004 that the Cougars will welcome some of the nation's top collegiate divers to the Bayou City. The season culminates with the 2008 NCAA Championships, hosted by Ohio State in Columbus, Ohio, on March 20-22. (LAUSANNE, SWITZERLAND, September 3, 2007) The International Olympic Committee (IOC) today announced that 11 cities have been put forward by their respective National Olympic Committees (NOCs) to apply to host the 1st Summer Youth Olympic Games in 2010. The Candidate Cities, in alphabetical order, are: Algiers 2010 (Algeria), Athens 2010 (Greece), Bangkok 2010 (Thailand), Belgrade 2010 (Republic of Serbia), Debrecen 2010 (Hungary), Guatemala City 2010 (Guatemala), Kuala Lumpur 2010 (Malaysia), Moscow 2010 (Russian Federation), Poznan 2010 (Poland), Singapore 2010 (Singapore) and Turin 2010 (Italy). The NOCs had until 31 August 2007, midnight, to notify the IOC that a city within their jurisdiction was interested in applying. The 11 Youth Olympic Games Candidate Cities now have until 26 October to prepare and submit their Candidature Files by replying to the IOC questionnaire. An analysis of their Files by a panel of Olympic Movement experts will allow a short list of Youth Olympic Games Candidate Cities to be drawn up for further evaluations by an IOC Evaluation Commission. Running back Calvin Harris scores with 8:33 left in the third quarter to lead Prairie View A & M to a 34-14 win over Texas Southern. (Photo by Darla Tamulitis-TexSport Publications). (HOUSTON, TEXAS, September 1, 2007) Based on an evenly balance passing and running attack, their defensive play, and 31 second half points, Prairie View A & M dismantled Texas Southern 34-14 in the season opener for both schools at Reliant Stadium. The Panthers (1-0) came out from a 3-0 half time score and totally dominated the Tigers to win their third Labor Day Classic during Coach Henry Frazier’s tenure as head coach. Prairie View’s balanced attack accounted for 156 yards passing and 155 yard rushing, while scoring two field goals along with four touchdowns. Turnovers also played a major part in the win, with the Panthers forcing five turnovers in the second half. Panther free safety Anthony Beck found the end zone after intercepting a Tino Edgecombe passes, returning it 94-yard for the touchdown. Quarterback Chris Gibson also got into the scoring act with a touchdown of his own. He went 10 for 21, passing for 103 yards while rushing for 123 yard on 13 carries. Gibson scored his touchdown on a 52-yard run to put the score at 10-0. Running back Calvin Harris also put points on the board as the result of a six yard run with 8:33 left in the 3rd quarter. His effort took the score to 17-0 in favor of the Panthers. Prairie View increased its lead to 20-0 with a Brady Faggard field goal with 2:15 left tin the third quarter. Texas Southern then marched 60 yards in five plays to the Panthers 8 yard line on their next possession, but Beck picked off the first and goal pass to shut down the Tigers. The Tigers finally got on the board with a 54-yard pass to wide receiver Bryan Wilson with 4:32 remaining in the game. They added another touchdown with 1:16 left in the game but they would not be enough to overcome the onslaught of the Panthers. In 62 meetings between the two schools, Texas Southern holds the most victories (40) to Prairie View’s 21. One game has ended in a tie. Texas Southern will now face Alabama State on the road while Prairie View travels to Los Angeles to meet North Carolina A & T. Both games are set for next Saturday. (PASADENA, TX, August 30, 2007) Every fall, the staff at TexSport Publications does their prediction of the top 10 high school football teams in Texas. Below is our picks in each of the five classes and their ranking. So without further ado, here are TexSport Publications' picks for the top 10 teams in Texas. ENJOY!!! (HOUSTON,TX, August 25, 2007) Ten U.S. Olympians were crowned on Saturday night at the 2008 U.S. Olympic Team Trials – Boxing at the George R. Brown Convention Center in Houston, Texas. Two bouts will be contested on Sunday at 2 p.m. in the bantamweight and featherweight divisions to determine the remaining two spots. Wilder made the team in only his 21st bout, and reflected on his progress. “This Deontay would have stopped last year’s Deontay,” Wilder said. Super heavyweights Michael Hunter (Las Vegas, Nev.) and Kimdo Bethel (Albany, N.Y.) met in the final bout of the evening. Hunter was up by two by the end of the first and held Bethel to one point in the second. He maintained his lead and was winning 10-6 going into the final round. Hunter defeated Bethel 14-7 and was named an Olympian. “I’m still not believing its true, I learned dedication from my father. I work hard, I have two of the best trainers,” Hunter said. “I work on my conditioning and my physical strength, which helped me in this bout. The two bouts will begin at 2 p.m. on Sunday with the winner earning the title of U.S. Olympian. (HOUSTON, TX, August 24, 2007) The challenger round of the 2007 U.S. Olympic Team Boxing Trials saw three Texans fighting to keep their Olympic dream alive and eventually get their ticket punched to Beijing for the Olympic Games in 2008..
First up for the Texas was featherweight (125-pound class) Hylon Williams, Jr. of Houston. Williams fought Shmeuel Pagan (Brooklyn, NY) in a bout that was closer than the score indicated. He defeated Pagan 49-20 in the match that saw Pagan take a standing eight count just seconds before the bout was over. Both boxers seemed to take the first round to feel each other out, with Williams eventually emerging as the aggressor. His combinations of jabs and uppercuts kept Pagan off balance and it seemed the Brooklyn native was destined to go down early. Pagan showed somewhat of a comeback in third round as he landed punch after punch. Once or twice in the round, Williams seemed to be backing up to get away from him. The second Texans’ match of the evening saw 2006 Under 19 World Champion Jerry Belmontes (Corpus Christi, Texas) facing off against Miguel Gonzalez (Cleveland, Ohio) in a lightweight (132-pound) match. Gonzalez, who competed in the 2004 Olympic Trials, defeated Belmontes on a 21-12 decision. In the third and final match for the boxers from the Lone Star State was a bout of welterweights as Dallas’ Charles Hatley faced off against 2006 National PAL Champion Keith Thurman (St. Petersburg, Florida).. The match seemed to be going the way of Hatley, when in the third round, his combination of punches and jabs stunned Thurman resulting in a standing eight count. The fans, VIPs, and media were aghast when the announcer declared the decision 23-14 in favor of Thurman. Hatley’s corner men raised their hands in disgust, showing their obvious displeasure with the decision. Williams will face Raynell Williams (Cleveland, Ohio) on Saturday for the second time in the trials. He lost to the Ohio native 17-16 in the winners’ bracket on Thursday evening. He will join light flyweight (106-pound) Luis Yanez and bantamweight Roberto Marroquin in the finals. Yanez, who is a two-time U.S. champion and Marroquin, who was a member of the 2007 Pan American team are undefeated at the trials. The first bout of the finals is set at 7:00 PM Saturday at Houston’s George R. Brown Convention Center. (HOUSTON, TX, August 21, 2007) On the first day at the George R. Brown Convention Center in Houston, fans saw six out of seven Texas boxers win their bouts advance to the winner bracket in the 2008 USA Boxing Olympic Trials. A lone Texas boxer went into the consolation round as day one concluded in the seven day trials. During the afternoon session, all five Texas boxers advanced with Luis Tanez (Duncanville, Texas) defeated Malcolm Franklin, from Rialto California 27-12 in the 106-pound weight class. In the 119-pound class, Roberto Marroquin of Dallas won a close decision 18-17 over Gary Russell, Jr. (Capital Heights, MD). Los Fresnos’ Sergio Perales also took a close decision 15-14 over California’s David Clark. Dallas’ Charles Hatley, competing in the 152-pound division, defeated Anthony Campbell 24-15 to advance. The evening session saw Houston native Hylon Williams stop Troy Wohosky 30-8 to round out the winner’s bracket. In the lone Texas defeat of their day, Juan Leija, from Alvin saw a tough match against Rau’shee Warren when the referee stopped the match 1 minute 6 seconds in the second round. Day 2 saw Williams, Yanez, Marroquin and Belmontes win their second bouts, with Hatley being stopped 1:22 in the third round by Demetrius Andrate. The best bout of the day was the come from behind win by Leija over John Franklin of the UA Army, 33-20. Leija was helped by the tremendous fan support at ringside. Clad in yellow t-shirts reading “Team Leija,” family, friends, and teammates from his boxing club in Alvin yelled, screamed, and went crazy every time he threw a punch. When the result was announced, Franklin, who was visibly upset, stormed from the ring, hurling obscenities and ranting about how he was wronged. Leija, who is a student at Santa Fe High School, show his joy by jumping up and hugging his coach and manager. He will now advance, along with all of the day 2 winners, to the semi-finals in Wednesday. Action continues on Wednesday with bouts at 12 noon and 6:00 pm. (HOUSTON, TX, August 16, 2007) – Kingdom Racing, announced today the formation of a new IndyCar Series™ team with the intent to compete in the 2008 season. Kingdom Racing is owned by Houston businessman George Del Canto and a team of racing, financial and sports marketing professionals that have successfully built and advised multi-million dollar businesses. The team’s premier focus will be to win on the race track, create value for sponsors, and to change people’s lives through on-track ministry events. “The team’s vision is to deliver the word of God through Motor Sports. To reach this goal, we must field a championship caliber race team, as only front-runners earn credibility and deliver value to the sponsors’ investment,” said Del Canto in announcing the team. The team will be comprised of experienced race professionals with a winning history in IndyCar and other major racing series. Names of race team staff to be disclosed at a later date. “We have been meeting with key race personnel since 2006, and are now approaching potential sponsors as we gear up to run in 2008,” said Del Canto. Backing Kingdom Racing’s vision is a powerful group of Directors from Texas businesses and faith-based organizations. Those advisors include: Jim Beckett – Founder & CEO of Beckett Publications; Dave Berry – President of the Corporate Division of NWYC, and former Director of First Plus Financial IndyCar and NASCAR sponsorship programs; Robin Blakely – President of The Essenza Group; Jim Cote – President of Master’s Men and former Corporate Chaplain of Interstate Batteries; Randy Ford – Chief Operating Officer of National Write Your Congressman Dallas; Craig Foster – Driver/Owner Rolex Series and a prominent Atlanta Business Owner; Brad Hays – McCollum Group and Founder, Bible in the Boardroom; Wallace Henley – Second Baptist Church, Houston, Assistant Pastor, Author and former White House and Congressional Aide; Bill Lawrence – Founder and Executive Director of Leader Formation International, Professor (Ret) at Dallas Theological Seminar. THE INDYCAR SERIES is the premier open-wheel racing series in the United States. It hosts 17 events in 2007 - including the Indianapolis 500 – which is the world’s largest single-day sporting event and a heritage of 91 years. ESPN International Networks and Syndication delivers the Indianapolis 500 and all IndyCar Series events to over 344 million homes across 203 nations around the globe. (WHITE PLAINS, N.Y., August 8, 2007) The USTA today announced the 2008 U.S. Men’s Clay Court Championships will move to the River Oaks Country Club, keeping the second longest-running USTA National Championship in Houston. Only the US Open has a longer history. The event has been held for the last seven years at the Westside Tennis Club in Houston where it attracted record attendance and strong fields. The U.S. Men’s Clay Court Championships, an ATP International Series event, was first contested in 1910 and held every year since, with the exception of 1928. Former champions at the U.S. Men’s Clay Court Championships consist of many of the all-time greats in tennis. Bill Tilden won a record seven singles titles from 1918 to 1927. Other past winners include Bobby Riggs, Tony Trabert, Jimmy Connors, Ivan Lendl, Mats Wilander, Michael Chang, Jim Courier, Andre Agassi, and Andy Roddick. One of the oldest tennis clubs in the country, River Oaks Country Club has hosted the prestigious River Oaks International since 1931 on red clay, making it the oldest event in North America still played at its original location on its original surface. The club has a permanent stadium that seats up to 3,400. This year, the club featured a special exhibition where Martina Navratilova played against Monica Seles. Last year, Pete Sampras played his first match since winning the 2002 US Open at River Oaks in an exhibition against Robby Ginepri that was streamed live on the internet on USTA.com. The club also hosted a $50,000 USTA Pro Circuit women’s event in 2005 and 2006. Houston Dynamo to Host "Dynamo's Summer Soccer Ball"
The event, which will be open to the public, will be held at Planeta Bar-Rio, 6400 Richmond Ave, Houston TX 77057 on Wednesday, August 15, from 7:00 p.m. onward. $3 well drinks and beer specials will be offered to those in attendance. Also, for those wishing to watch the D.C. United-LA Galaxy SuperLiga Semifinal, a 20’x30’ viewing screen will be provided. Parking will be free on site. In addition, we will have a special raffle and prizes for early arrivals, so please be sure to get there early. Children are permitted at the event as long as they are accompanied by an adult. One more thing: please leave your tux at home. We ask that you dress up in Dynamo gear and come support your team! In attendance at the celebration will be Houston Dynamo players, coaches, and front-office staff, along with Houston Dynamo mascot, Dynamo Diesel, and the Dynamo Girls. The event is sure to be…well….a ball, so come join us as we honor our team’s achievements in 2007! (HOUSTON, TX, August 8, 2007) Houston will has been selected as the site for the 2008 national championships for men's rhythmic and artistic gymnastics, along with the dicipline of trampoline in May 22-24 2008. The events will be held at Reliant Park. This will be the first time in many years that the mens and womens championships will be contested at different times and locations. Texas is the most active state in terms of mens gymnastics, with 22 of the 86 men competing at this years nationals coming from the Lone Star State. Notable Texans who will be competing at this years nationals include former national all-around champions Sean Townsend and Todd Thornton, American Cup all-around champion Jonathan Horton and 2004 Olympic team alternate Raj Bhavsar. Check back with TexSport Publications for further information and updated news on this event. (ATLANTA, GA, August 8, 2007) PlayON! Sports, a division of Turner Sports, and the American Basketball Association (ABA) announced today an agreement to provide online streaming of the league's games on an exclusive ABA broadband channel beginning with the 2007-08 season. Throughout the season, which begins November 10th, select regular season and playoff games will be available both live and on-demand via the broadband channel, marking the first time that the ABA will offer online streaming of its basketball games. Web streaming of the games will be on a subscription basis and will initially include approx. 300 games featuring ABA teams in the US, Canada and Mexico. All games will be available internationally. Additional details regarding the schedule and teams will be available upon the start of the season. "The American and international teams that comprise the ABA are known for both their spirited play and athleticism. We are thrilled to expand the PlayON! Sports portfolio with the ABA, and give basketball fans around the world access to the excitement of the league from the comfort of their computer," said Phil Sharpe, SVP/GM of the PlayON! Sports. "We are very pleased and proud to be a part of Turner Broadcasting and are excited that we can bring the live action of ABA basketball games worldwide," said Paul Riley, VP of ABA Media. "Fans will be able to see virtually every team in the league, and once they do, they will realize why the ABA has grown as it has. It is fast-paced and exciting basketball - and now the world can see it." The ABA joins an expanding portfolio of PlayON! Sports properties including the Atlantic Coast Conference (ACC), Atlantic Sun Conference (A-Sun) and United Soccer League (USL). PlayON! Sports is a division of Turner Sports which operates and manages new media businesses for sports properties, including NASCAR.com, PGATOUR.com, PGA.com. (LAUSANNE, SWITZERLAND, August 8, 2007) Today marks the beginning of the final year’s countdown to the Olympic Games in China, which will open on 8 August 2008 in Beijing. In front of thousands of people during an official ceremony in Tiananmen Square in Beijing, IOC President Jacques Rogge addressed the sports movement, the people in China and those all over the world watching Beijing in anticipation of the Games in 12 months’ time. He symbolically handed over the invitations to the National Olympic Committees (NOCs) of countries hosting upcoming Games - China, Canada, Great Britain and Russia, as well as to the NOC of Greece, where the first Olympic Games of the modern era were hosted back in 1896. "All my greetings to the people of Beijing and China and indeed to the world, since many people are watching live around the globe. Today, we are sending the invitation to come to the Beijing 2008 Olympic Games to a record number of National Olympic Committees. The representatives from all these NOCs are present, about which I am delighted. This marks the beginning of the final year’s countdown to the Olympic Games in China. The world is watching China and Beijing with great expectations. The athletes also have great expectations and they are all looking forward to competing in the state-of-the-art Beijing venues. Many of them will have a taster of what is awaiting them as today also marks the start of pre-Olympic test event competitions. With one year remaining until the Opening Ceremony, we have reached a place from which we can see both vast achievements behind us and the great potential that lies ahead. Beijing and China will not only host a successful Games for the world’s premier athletes, but will also provide an excellent opportunity to discover China, its history, its culture and its people, with China opening itself to the world in new ways. Cultural interchange, respect and understanding will be the win-win of Beijing 2008 for the people of Beijing, China and of the world. Since July 2001, the Organising Committee, lead by President Liu Qi, has worked extremely hard to give Beijing an Olympic shape. Venues are almost finished and look fantastic. I would like to thank the BOCOG team, the government and all the people involved in the preparations for their sustained efforts and dedication over the last six years and for the good relationship we have established. The Olympic Games are the celebration of the values of Olympism and of sporting ideals by the youth of the world. They engender dreams and inspiration in the hearts of young people everywhere. I therefore call upon you all to enjoy the Games one year from now." (HOUSTON, TX. August 7, 2007) Well fans, veterans camp is finally here and everyone is excited about the new look that the ABA Houston Takers have made. Coach Sam Smith believes that this will be a promising season of success as the Houston Takers take on the South Division of the Blue Conference. "This camp will separate the pretenders and contenders and the fans are welcome to come out and witness the awesome atmosphere of competition," said team owner Larry Leonard II. The Houston Takers will be entering their second season under the ownership of Leonard and the team has been quite busy this off-season in bringing in a quality head coach and general manager to complement the push for the title. "It's exciting to be part of an organization that aims for excellence and takes pride in making sure the right players are signed and ready for our campaign," stated GM Nichols. The veterans camp will be open to the public and all fans are invited to come and enjoy what they will be witnessing this season. It will be held at Reagan High School Pavillion, 413 E 13th Street, Houston TX 77--8 in the heart of Houston Heights. And - 81 year old Howard Judah will be in shape and ready to go at the camp as well. (TEXAS CITY, TX, August 4, 2007) The Bay Area Toros scored five runs in the eighth inning, but it was not enough to overcome the Texas Heat, as they dropped the third game of their current series 7-6. Shortstop Cassidy Dresch went 2 for 2 with one run, while second baseman Josh Odell went 2 for 4 scoring two runs and accounting for three RBIs. The Toros will play a double header on Sunday, with the first games starting at 2:00 PM. The second game will follow the conclusion of the first, with both games being played at Texas City’s Robinson Stadium. China will host the prestigious Summer Olympics in 2008. Already, Olympics fever has gripped China and we'll probaby see another exciting Olympics in 2008. The two cities that will host the Olympics in China are Beijing, which is the nations capital and Qingdao, a seaside city in the province of Shandong, in north-east China. Let's get to know these two Olympics cities better. Beijing is the capital for China. It was also a capital for the last two monarchies that ruled China before being overthrown by Sun Yat Sun in 1911 and has been the capital since Mao Tse Tung declared China a People's Republic in 1949. Beijing is located in northern China, close to Tianjin Municipality and partially surrounded by Hebei Province. The city covers an area of more than 16,800 square kilometers (6,487 square miles) and has a population of 13.82 million people. Beijing is at its best in late spring and autumn, particularly during the months of May, September, and October when people can enjoy bright sunshine and blue skies. As the capital of the People's Republic of China, Beijing is the nation's political, economic, cultural and educational center as well as being the China's most important center for international trade and communications. It has been the heart and soul of politics and society throughout its long history and consequently there is an unparalleled wealth of discovery to delight and intrigue travelers as they explore Beijing's ancient past and enjoy its exciting modern development. Beijing will also be the host for the Summer Olympics in 2008. Already, Olympics fever has gripped the city as construction of new buildings, hotels and stadiums, sprucing of tourist facilities, cleaning up of air and water pollution takes on a fervent pace. Qingdao is a bustling city located in Shandong province, in the North East of China. Qingdao will be the site for sailing events for the Summer Olympics as Beijing is not by the sea. Qingdao city lies on undulating hills with luxuriantly green trees and buildings noted for their attractive architectural styles. The red colour of the tiled roves, green colour of the trees thills and blue of the sea contrast beautifully. All this along with its beautiful climate, make the city well-known as a summer and health resort. The city occupies an area of 10 654 km2. The city is located in flatlands, with mountains spurring up nearby. The highest elevation in the area is 1133 m above sea level. The city has a 730.64-kilometer coastline. Five significant rivers that flow for more than 50 km can be found in the region. Qingdao is estimated to be the home for more than 7 million inhabitants, of which around 2.6 million is residing in the Qingdao urban area. Qingdao enjoys mild summers and relatively warm winters, with the average July temperature at 23.8°C and the average January temperature at -0.7°C. The city gets most rain in June and July, at an average of 150 mm. Qingdao has very strong German influence in the 19th century and many German influenced buildings can still be seen. In fact, Qingdao beer is famous throughout the world, and every year, hundreds of thousands of people, both local and overseas gather in Qingdao for the annual Beer festival. * Ba Da Guan, the older area of town with some surviving German architecture. * Laoshan, a famous Taoist mountain. * Lu Xun Park, named after Lu Xun, a famous modern Chinese writer. * Qingdao Beer Museum, on the site of the old brewery. * Qingdao International Beer City, the primary site of the annual Qingdao International Beer Festival. * St. Michael's Cathedral, a Gothic/Roman cathedral designed by German architect Pepieruch, completed in 1934. * Zhanshan Temple, Qingdao's only Buddhist temple.